So far Stephanie Corleto has created 30 blog entries. 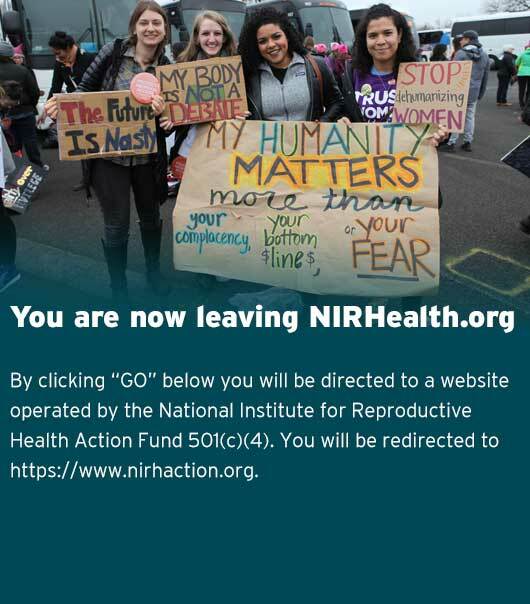 NIRH President Andrea Miller has been an outspoken advocate against the laws that criminalize women for their abortion decisions. She has emerged as one of the leaders in the field ringing the alarm bell about politicians’ threats to shame, pressure, and ultimately punish women who end their pregnancies. See her op-ed in TIME magazine. 7 in 10 voters want a woman’s experience having an abortion to be safe, legal, and respectful of a women’s decision.